Hi friends, there was a time when benefits of technology were enjoyed only by elite sections of society especially in our country and for rest of our countrymen they were sour grapes. The introduction of computer and internet technologies have laid foundations to number of developments in electronic field and resulted in the birth of various gadgets which are useful for human beings in one way or the other. Some people use electronic gadgets for business purpose where as many people use them for personal enjoyment. I lived in an era where land line telephone was the only communication link and transistor radio was an enjoyment means. In spite of limited financial resources majority of Indian house hold owned a radio and people were taking its advantage to maximum extent. Many years latter, when television networking was permitted in India, having a TV set became a top priority for us and I heard that even a person living in a jopadpatti or hut was enjoying program on his own TV set. I feel the time has come to reap rich harvest from the ongoing technological revolution and we Indians are in a better financial position to catch the speed of growth in this field. As far as gadgets are concerned, mobile phones are widely used in our country both for communication purpose and enjoyment. Mobile hand sets have become a part and parcel of our life and some body rightly mentioned that it has become an additional organ for us. Our craze for electronic gadgets has attracted major multinational electronic giants and some of them became house hold names in India. Like my fellow countrymen I also became electronic gadget savvy as far its usage is concerned and time to time adopted all available electronic aids to make my life easier and thrilling. Since change is the law of nature, I also changed my priorities and brands as far as owning gadgets are concerned, but I cannot forget the enjoyment I got from my transistor set. Murphy and Philips are replaced by Dell, Samsung, HCL and many more and now I realized that my life will be incomplete without my gadgets. When I am at home, most of the time I will be in front of my PC where as my Nokia 5800 express music mobile phone hand set will be always with me where ever I go. Whenever I purchase a consumer product I prefer to go for branded products simply because they work to my expectations and give me post purchase satisfaction. 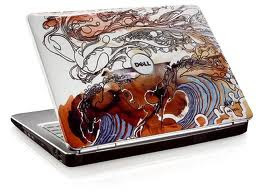 Though I never use Laptop for my personal work at home or official work in my office, my son who is a software engineer compelled me to buy one and now I have a Dell laptop will best configurations in my home. I wrote this blog post for a contest “change is easy” at Indiblogger conducted by Dell, which is the most popular brand in laptops in India. Answering the question for the contest, “do your gadgets reflect your personality in any way?” I always try to exhibit excellence in all my activities and I feel the present day gadgets are very helpful for me to do so. Ramadan presents the opportunity to reap rewards, as well as strengthen our faith through various disciplines, which, in themselves, teach us invaluable lessons. Muslim Aid encourages all to share Ramadan celebrations with those less fortunate. Ein guter Zahnarzt Köln ist die richtige Adresse, wenn Sie Zahnschmerzen haben. It’s a good initiative, I went to your blog and I appreciate how you give back to the community. I agree with you, there are so much thinks to be done.